It's a battery hog so I recommend at least two sets of four rechargeable aa batteries. One good thing is it can hold a couple of pics on it's own memory if you don't have a card in it and you need to take a couple pics of a UFO and don't have time to put the card back into it. Then it has the selection knob on top. So if you turn it off to put a card into to keep taking pics of that UFO. It will stay on the function you had it on last. The really bad part is the lens cover. It does not stay on and there is no other protection for the lens. Then it did not come with a user manual. Just a start up guide. But after playing with it for about an hour. I have pretty much figured everything out. But there is a lot of functions to this camera. So you will have to down load the user guide. Oh and the flash is a little annoying. You can put the flash on auto, but you still have to remember to pop up the flash. But after using it for a day now. I think it will be a good enough video and still camera for me. Tbook.com crawls the web to find the best prices and availability on zz and related Camera & Photo products like KODAK PIXPRO AZ252 Bridge Digital Camera with 16 MP 25X Optical Zoom HD 720p Video (Black). For this page, related items include products we find that match the following keywords: "Digital Camera" at our vendor partner Walmart. 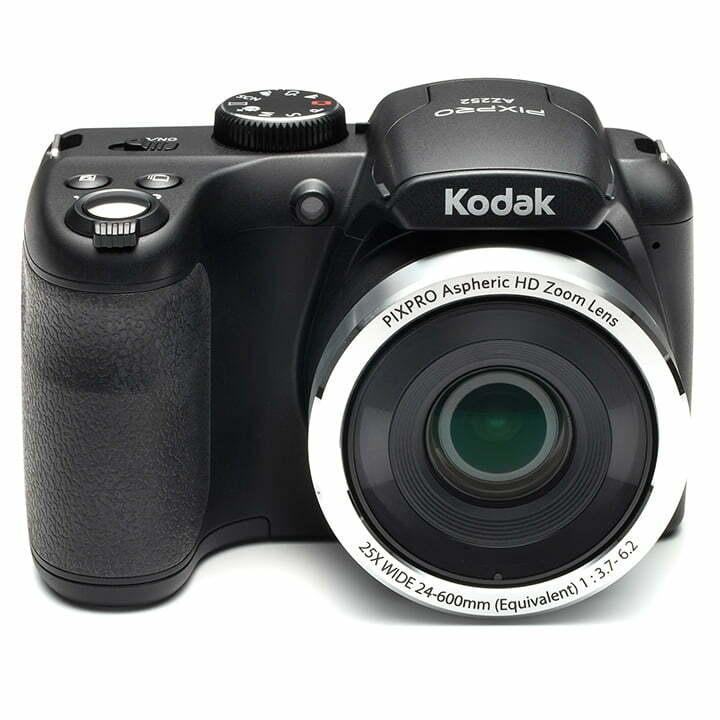 KODAK PIXPRO AZ252 Bridge Digital Camera with 16 MP 25X Optical Zoom HD 720p Video (Black) is one of 10 zz and related products listed in the Camera & Photo section of Tbook.com If you have any questions on this product, please give us a call at 734-971-1210 during the hours of 9am - 5pm EST for assistance. Thank you for shopping at Tbook.com, the Internet Department Store!